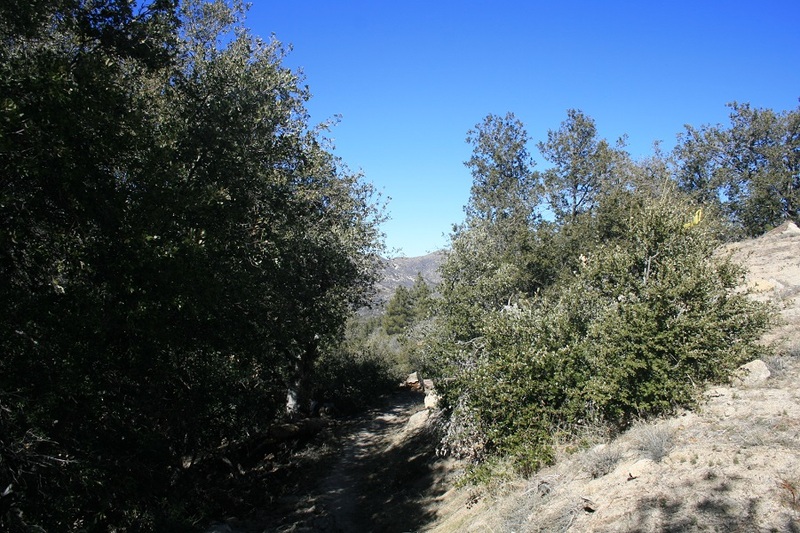 Location: Three Points Trail Head, Angeles National Forest. From I-210 in La Canada Flintridge, take the Angeles Crest Highway (highway 2) northeast for 28.4 miles. 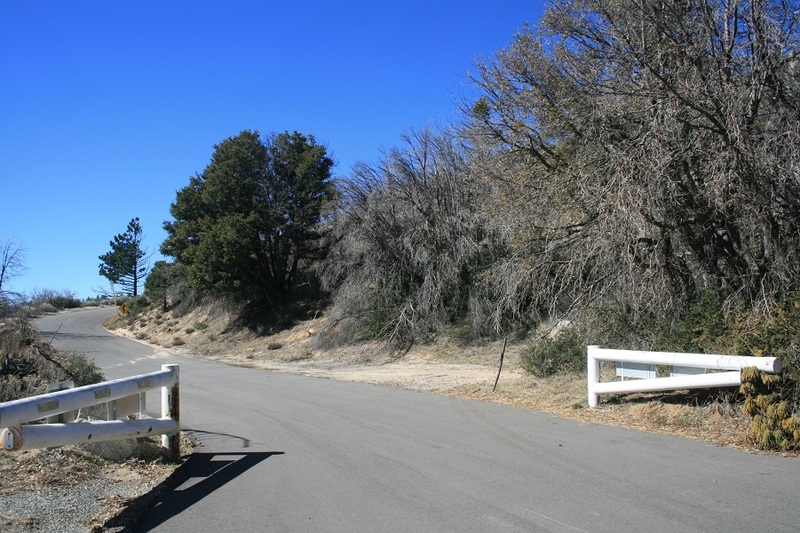 Turn left on Sulphur Springs Road and into a large parking lot with restrooms, a picnic table and an information board signed “Three Points.” A United States Forest Service Adventure Pass ($5 per day or $30 for the year) is required for parking here. Click here to purchase. 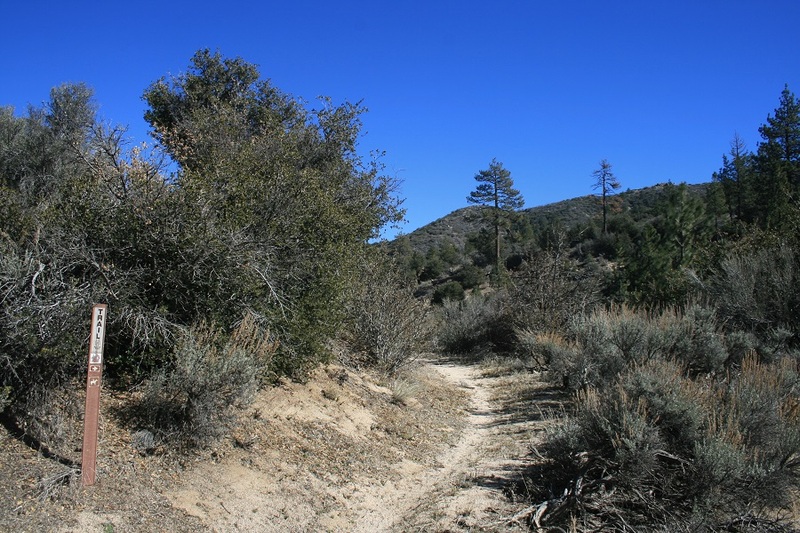 The Three Points Trail Head in the middle country of the Angeles National Forest holds the distinction of being the Pacific Crest Trail’s closest major access point to downtown L.A. For much of its run through the San Bernardino Mountains and San Gabriels, the northbound P.C.T. goes west, but at Three Points it turns north and begins its gradual descent toward the high desert. 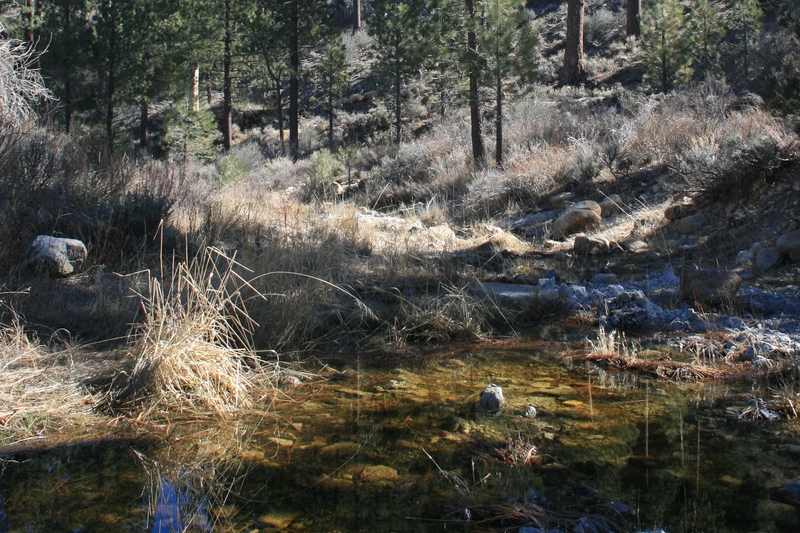 The scenic if somewhat tame hike to the Sulphur Springs Campground is one of the easiest day trips to make on the P.C.T. 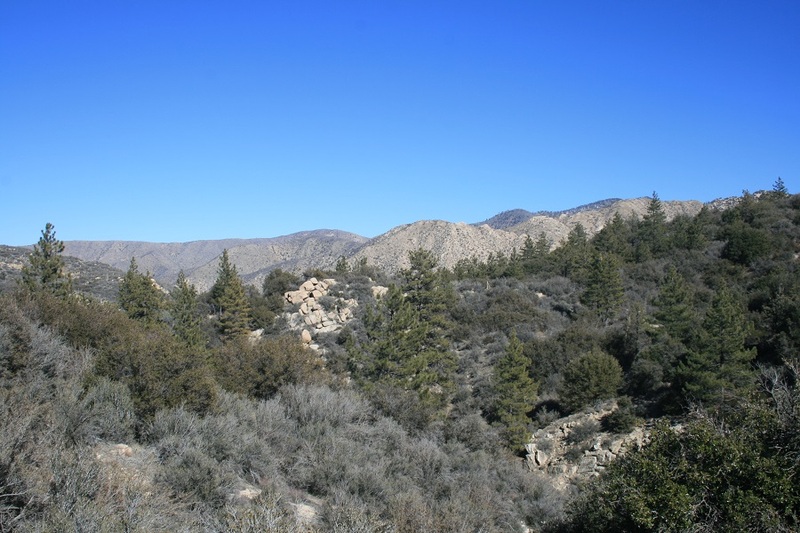 for hikers who live near downtown, the San Fernando Valley or the San Gabriel Valley. 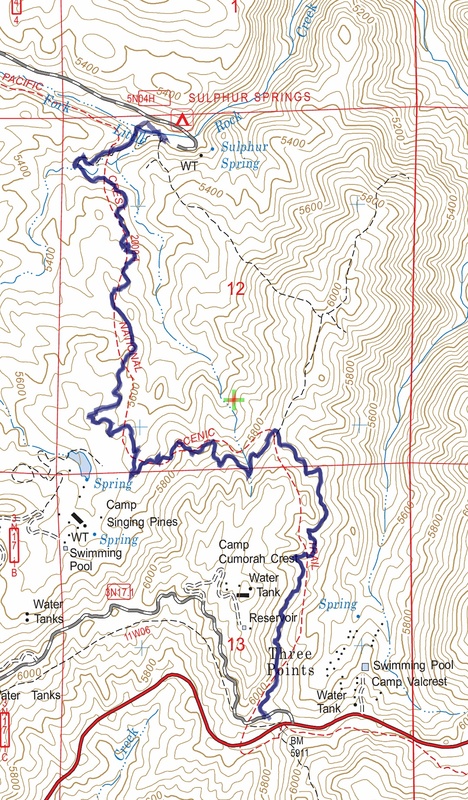 Leave the parking area and almost immediately pick up the Pacific Crest Trail on the right side of Sulphur Springs Road. It meanders along an east-facing slope dotted with granite boulders, taking in views of Winston Ridge, Pleasant View Ridge and Mt. Waterman. At 0.9 miles, it makes a sharp left turn and begins descending through pines, cedars and black oaks, meeting an abandoned dirt road. Follow the road for a short distance before the P.C.T. splits off, making a hard right and dropping back into the woods (one and three quarters miles from the start). 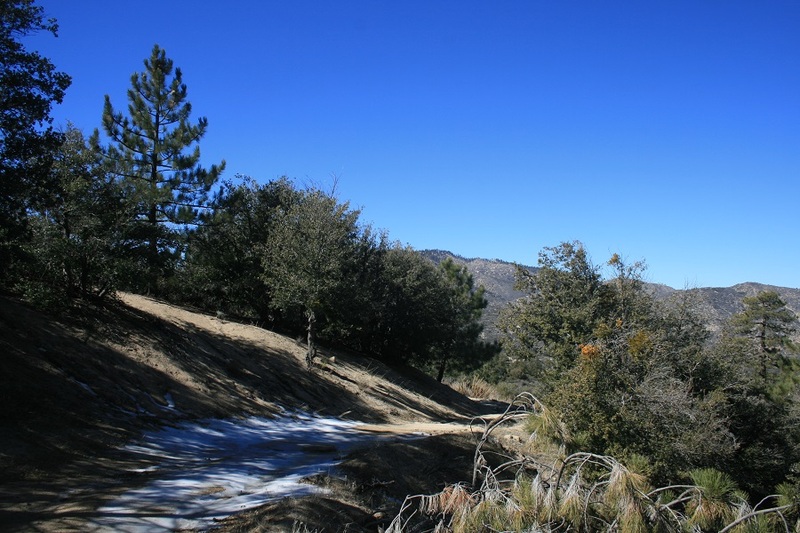 The trail crosses a seasonal stream and then climbs briefly to an exposed ridge, with views of Bare Mountain to the north and Pacifico Mountain northwest. At about three miles from the start, the trail passes by an attractive, pine-dotted bowl and crosses the headwaters of Little Rock Creek’s south fork. Soon after, you reach a junction. Stay right and follow the P.C.T. toward Sulphur Springs Road. 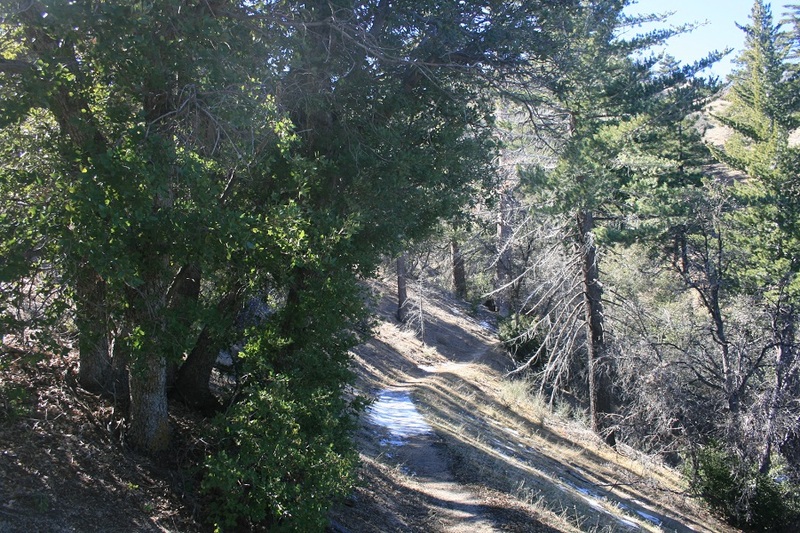 Just before you reach it, look for a use trail on the right leading a few dozen yards to the campground. 0:50 – Leaving the road, continuing downhill on the P.C.T. 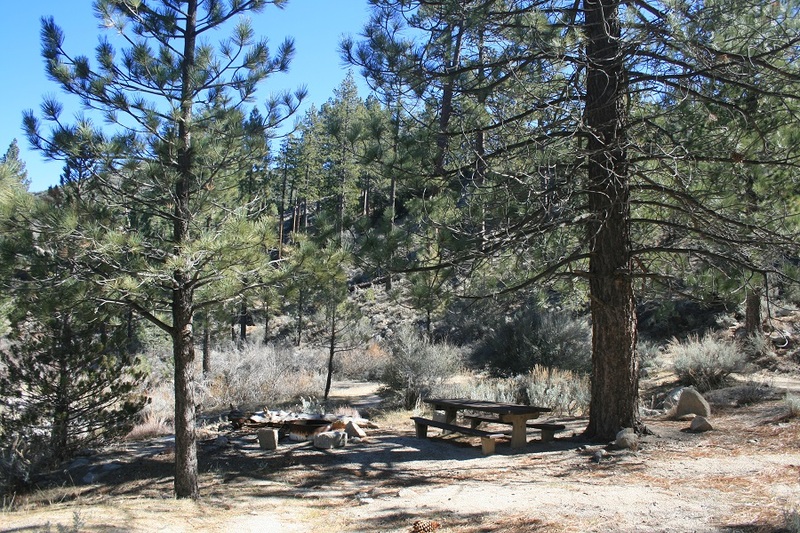 Sulphur Springs Campground is attractive and secluded, with several picnic tables nestled beneath the tall pines and the trickle of Little Rock Creek nearby. After enjoying the serenity, retrace your steps back uphill to Three Points. Can you drive in from Sulphur Springs Road? Possibly, there is a road that goes there but I’m not sure if it’s open to the public. The info is probably available on the Angeles National Forest website. Is it 7.2 miles from Three Points Trailhead to Sulphur Springs camp, or is it 7.2 miles roundtrip back to the trailhead? Round trip, 3.6 miles each way.